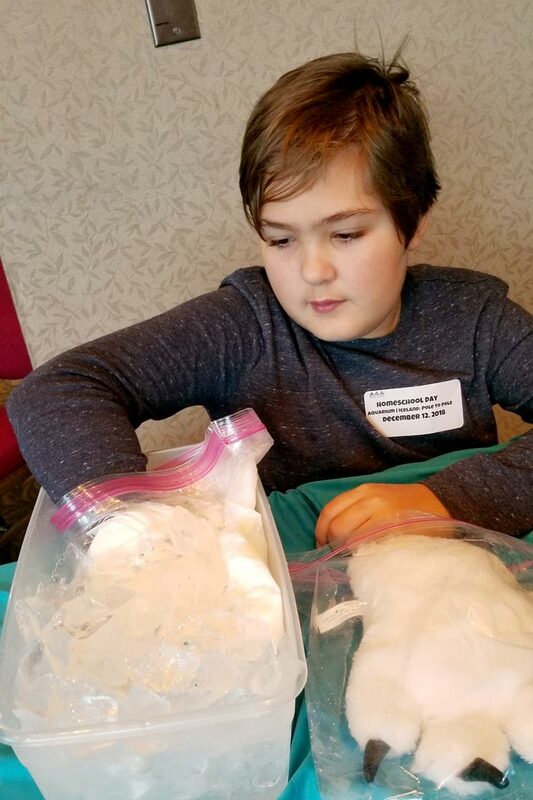 Five times per year our triple pyramided friends to the south put on homeschool programs – and the Moody Gardens Home School Day is awesome! Each program day has a different theme and allows entrance into different areas of the Moody Gardens campus. 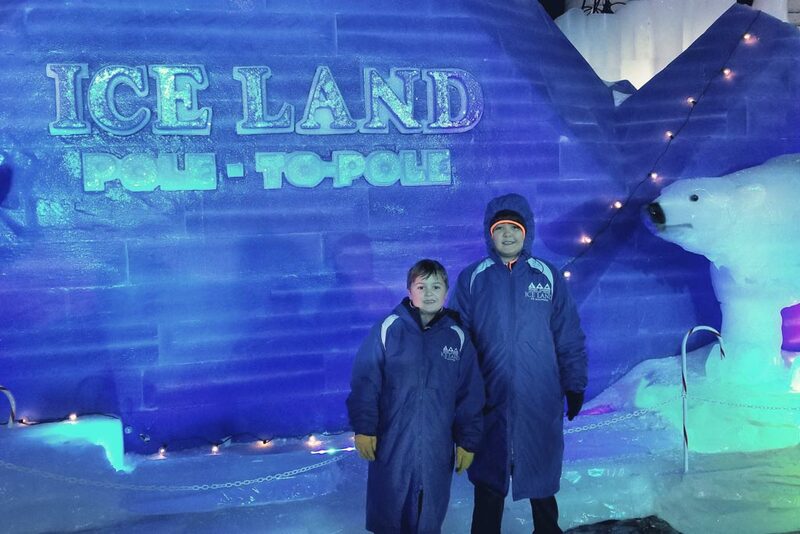 We attended the December outing which was themed Aquarium & Ice Land: Pole to Pole. It was a great program, appropriate for the entire family, and really affordable at $15 per person, including adults (members only pay $5). 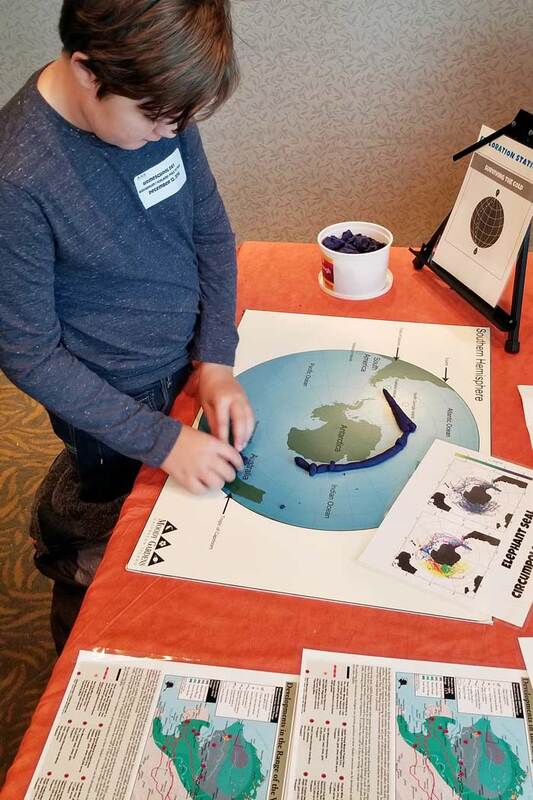 Our ticket included parking, access to the Aquarium Pyramid (which hosted talks through out the day at various exhibits), access to Ice Land: Pole to Pole (with parka, brrrr), and a guided introduction program in the Exploration Room. The day begins with check-in which is at the Visitor’s Center attached to the Rainforest Pyramid (the clear one). This is the area that also has a food court and the giant picture windows that look out on to the Giant River Otters. Sitting in a easily identifiable central location was a table with some nice ladies who found our names and gave us our stickers (which are your access tickets). Another nice thing about this program is they must know people come from yonder and the check in window is from 10 a.m. to noon. So, no need to hustle out early and get stuck in traffic. Or if you have a wardrobe malfunction, like you arrive without shoes for your children (which has unfortunately happened to us more than once), you have time to figure it out and still enjoy the program. We arrived around 10:30 a.m. got checked in and went to the Exploration room first. 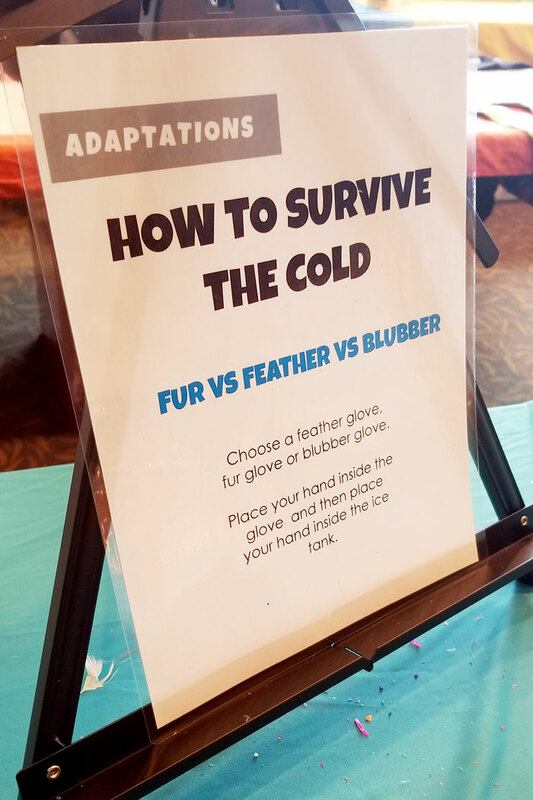 The Exploration room had a packet of information and several tables set up, each with an employee, to help the kids learn which animals live and how they survive and living in the cold environments of the Arctic and Antarctic. 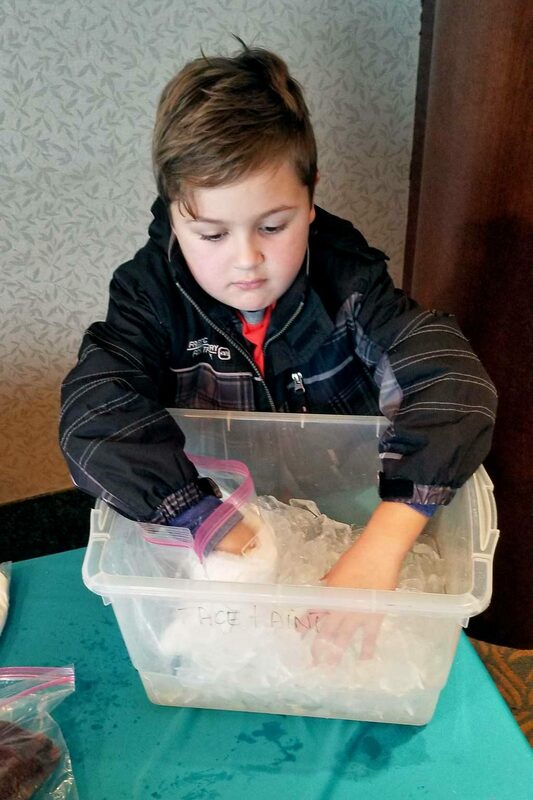 There was a simulation for kids to put their hands in ice and choose to be covered in fur, feathers, and/ or blubber. A table about migration patterns. Then two tables about the specific animals you could find in either the Arctic or Antarctic, food webs, adaptations, etc. 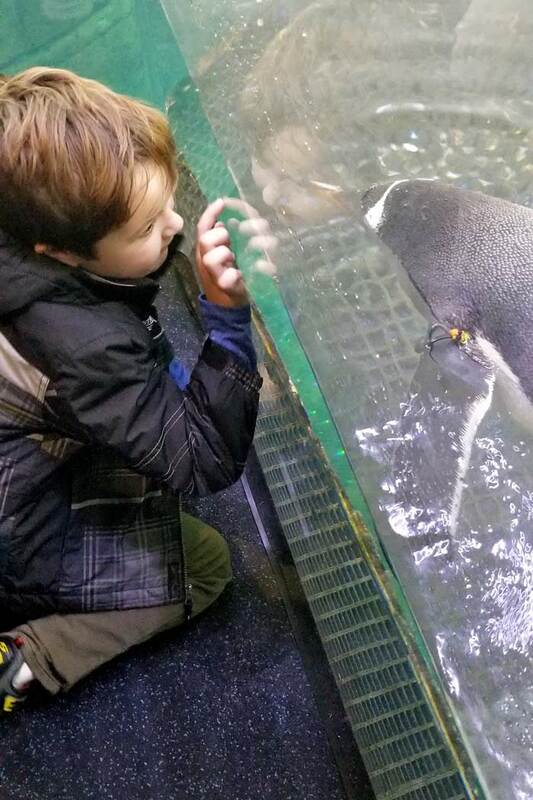 After our introduction, we made it to the first trainer-talk program, Penguin feeding, by 11 a.m. Again we found a great set up, the trainers wearing an earpiece and microphone while feeding the penguins so they could talk to the audience and explain what they were doing. Then out on the audience-side, another employee was taking questions and relaying them through her earpiece to the trainers to answer. It was very fun and interactive! 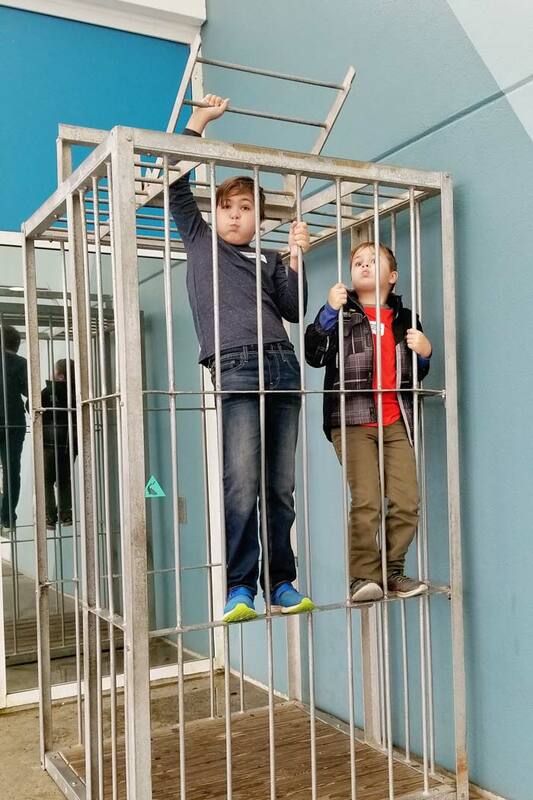 We have spent a fair amount of time in the Aquarium Pyramid (we even did an overnight with the scouts, which was also a fabulously run program) so we skimmed it and then because we had been there for a minute, the kids were starving. We headed back to the Rainforest pyramid to grab a snack (expect theme park prices and options, though you are welcome to bring in your own food) and once refueled it was time to hit the ice! 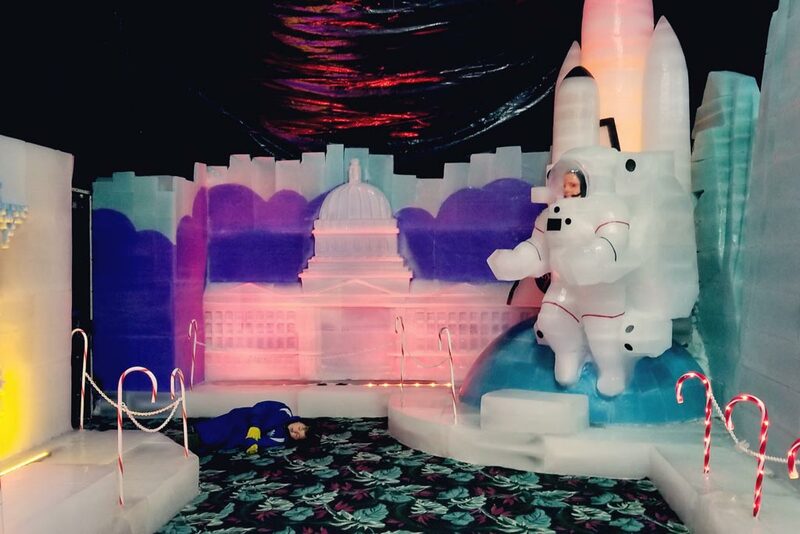 Since this program’s theme was the Arctic & Antarctic, cold & adaptations part of Moody Garden’s holiday attractions were included – Ice Land: Pole to Pole.� We headed there next and it was amazing (too awesome to shortchange it here check out our full post in the link).� It definitely helped us all to grasp cold because the tent is kept at 9 degrees.� Even though we stayed active walking around i (and sliding! 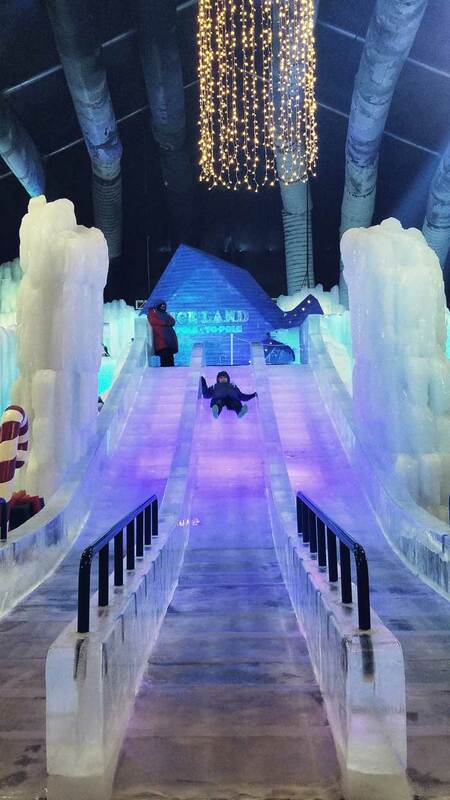 there is an ice slide!) by the time we wound our way through the exhibit our cheeks were feeling the burn. After the ice, the kiddos and I were ready to hit the road. Another nice thing about this program is they must know people come from yonder and the check-in window is from 10 a.m. to noon. So, no need to hustle out early and get stuck in traffic. Or if you have a wardrobe malfunction, like you arrive without shoes for your children (which has unfortunately happened to us more than once), you have time to figure it out and still enjoy the program. And, the program is well-paced so there is not too much and you don’t feel rushed or like you missed things so you can still be on the road home without hitting Houston at a monstrous drive time. 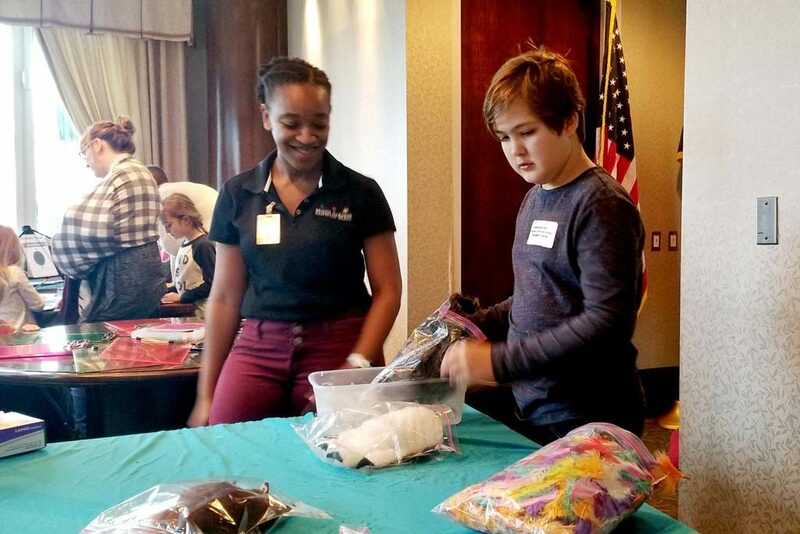 Overall the Moody Gardens Home School Day is a very well thought out, planned, and affordable program and I can’t wait to take the kids back! All programs are subject to change and tend to as tweaks, improvements, and adjustments are made. So, check out the current details before you book!